There’s nothing in the world like ignorance. And I’m sure till now you must have seen many examples of ignorant people. But, what we have to show you today break all records. 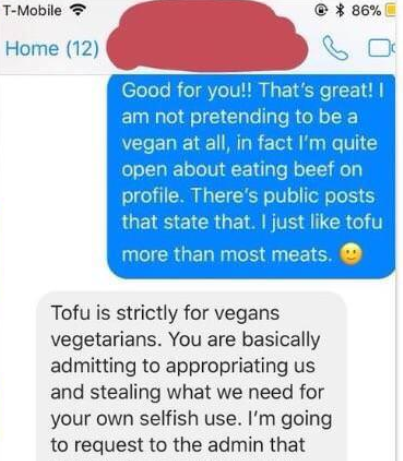 You see, a very egoistic and ignorant vegan lashed out at a girl and started ranting after she said she likes eating tofu without being a vegan. 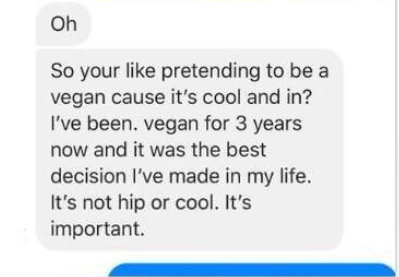 Now, this is a matter of simple preference being a vegan, or a non-vegan has nothing to do with it. There are many people who eat certain things and don’t belong to any specific category. 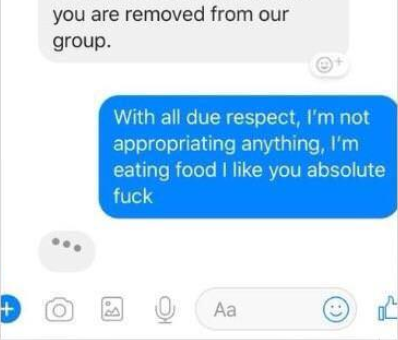 We just can’t classify people based on particular things they eat. Not everyone is the same. However, there’s no use explaining it to this guy because he will not listen. Scroll on below and take a look at the conversation between the two. 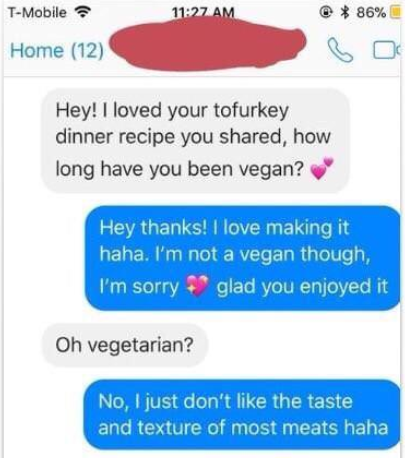 She’s clearly saying she doesn’t like the texture of most meats. But this guy is so crazy that he’s taking the whole thing too far instead of considering it a simple matter of preference. And here is how some people responded to the story and they are absolutely right! Well, that sure serves him right. What do you think about this whole situation? Was the guy doing the right thing by forcing his opinion on this girl? Well, of course, he wasn’t, but we’d still like to hear what you have to say about all of this. Drop a comment below and let us know! Also, share this and give it a thumbs up!